The central nervous system (CNS) constitutively expresses complement (C) membrane receptors and complement proteins, including the component C5a. This is a crucial terminal effector of the C cascade, mostly involved in pain and neuroinflammatory conditions. Aberrant activation of C5a protein and its receptor C5aR has been reported to play a critical role in neurodegenerative diseases, with important clinical consequences. 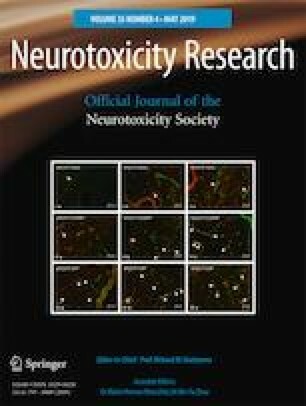 Here we have investigated the effects of DF3016A, a novel selective C5aR antagonist, able to penetrate the blood-brain barrier (BBB), on cortical neurons exposed to oxygen-glucose deprivation-reoxygenation (OGD/R), a neuroinflammation-related process. We demonstrated that a mild ischemic insult induces an early upregulation of C5aR associated with the over-production of pro-inflammatory cytokines and the over-expression of the transcriptional regulatory factor miR-181. Furthermore, we report the first experimental evidence of the effect of DF3016A, modulating complement component C5a, on neurons in a model of injury. Interestingly, DF3016A protects neuronal viability by restoring intracellular calcium levels, thus opposing the increase in pro-inflammatory cytokine levels and miR-181 expression. Based on our results, we suggest that DF3016A is a novel C5aR antagonist promoting protective effects against OGD/R-induced damage that could be a new therapeutic approach to controlling CNS neuroinflammatory conditions. Laura Brandolini and Marta Grannonico contributed equally to this work. The authors are indebted to Professor Anthony Dickenson for the critical review of the final manuscript. This work was supported by the Paolo Procacci Foundation (PPF) and Dompé Farmaceutici SpA funds. Laura Brandolini, Gianluca Bianchini, and Marcello Allegretti are employees of Dompé Farmaceutici SpA, Italy. The company has interests in the development of C5aR antagonists for the treatment of pain conditions. The other authors declare that they have no conflict of interest. All procedures performed in studies involving animals were in accordance with the ethical standards of the institution or practice where the studies were conducted.